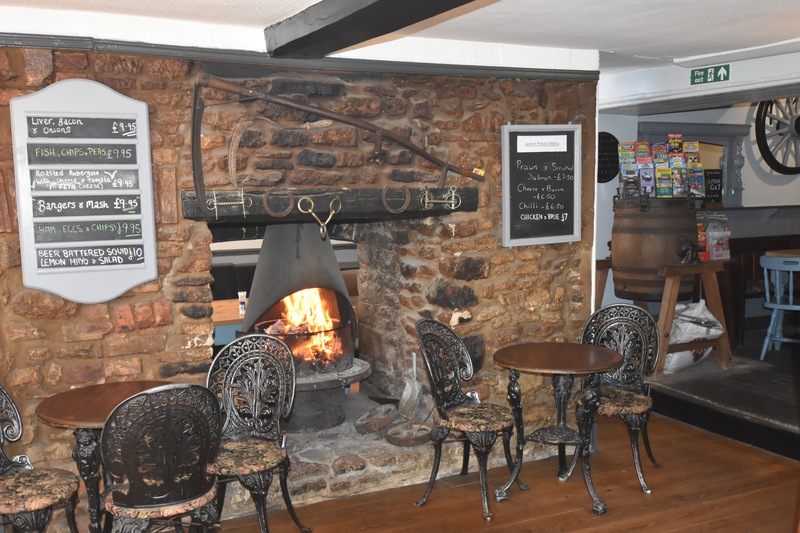 The Sun Inn is a 13th Century Inn situated in the heart of the Saxon town of Bruton. 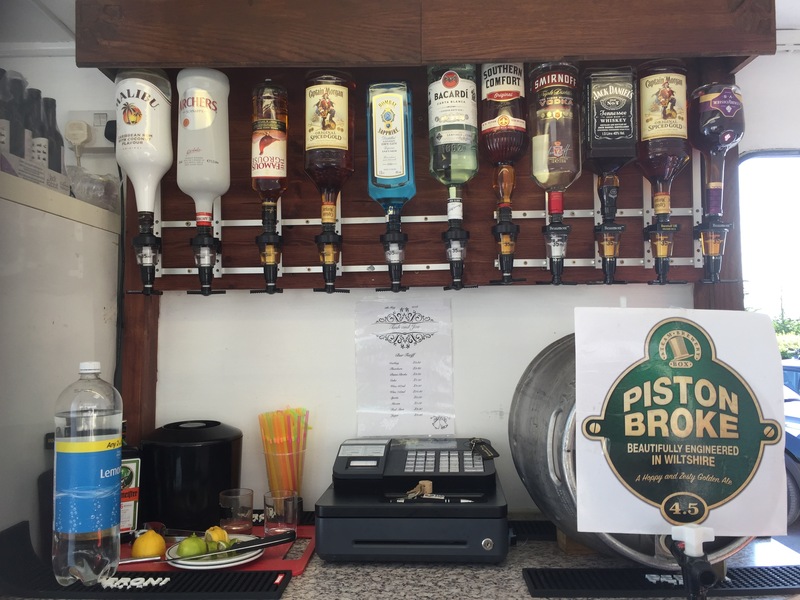 We’re a family run business offering a wide variety of Beers, Wines and Spirits, along with a traditional pub menu to eat in or take away. We also specialise in an authentic Persian menu, all home made by our Persian Chef. 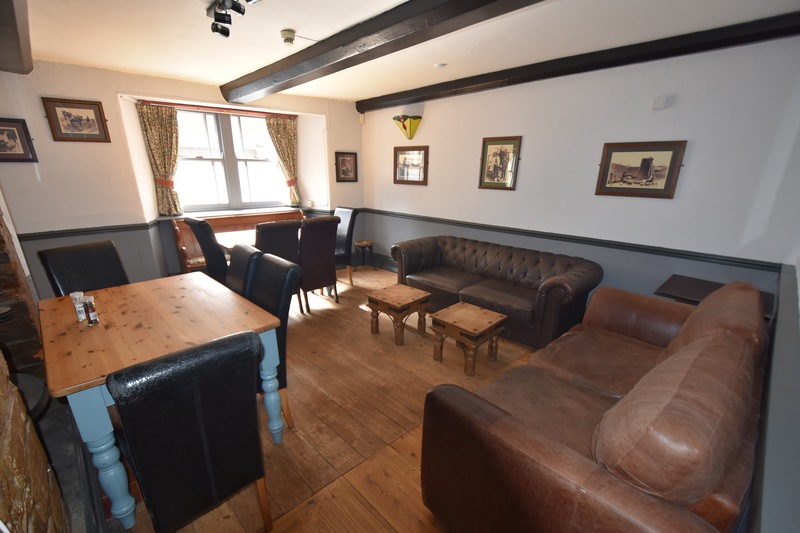 Whilst the pub dates back to 1290 the facilities and service we offer is decidedly 21st century. 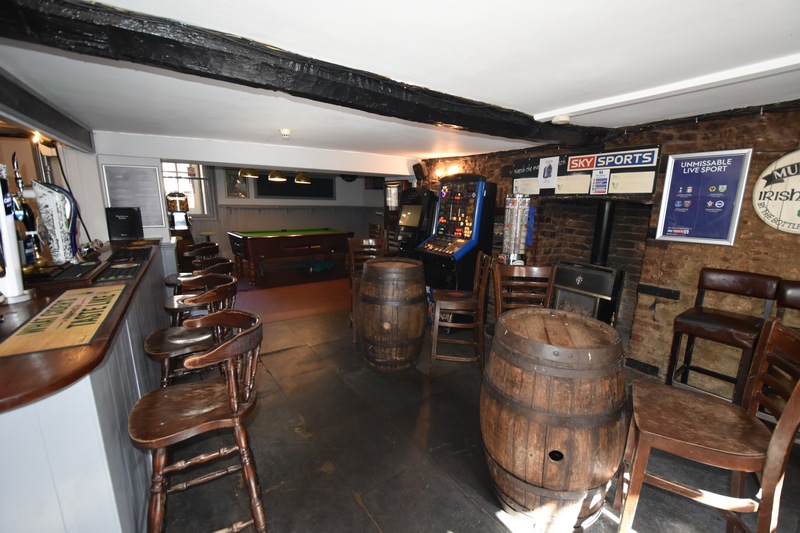 With multi big screen 3D Sky Sports showing all the latest premier league action, 1st class and international Cricket, Tennis and Rugby, plus a Juke box, Pool table and Skittle Alley. 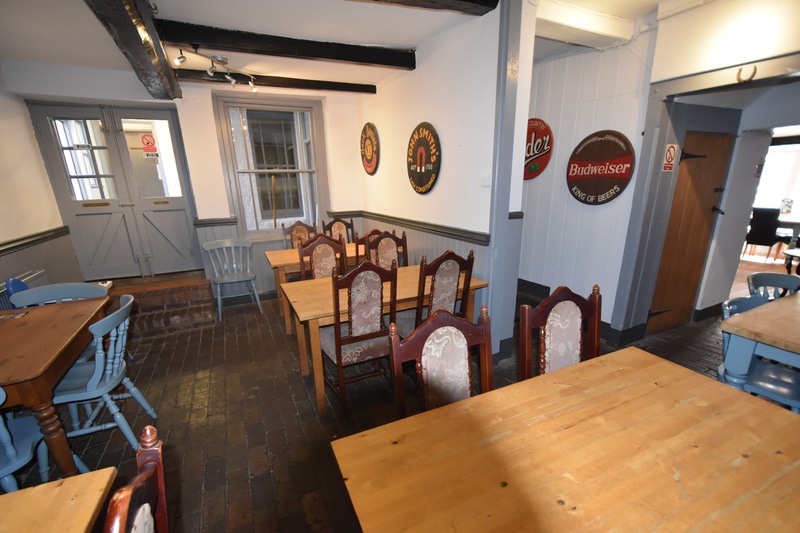 We have a pleasant outdoor, covered and heated area for smokers and those wishing to enjoy our facilities alfresco. 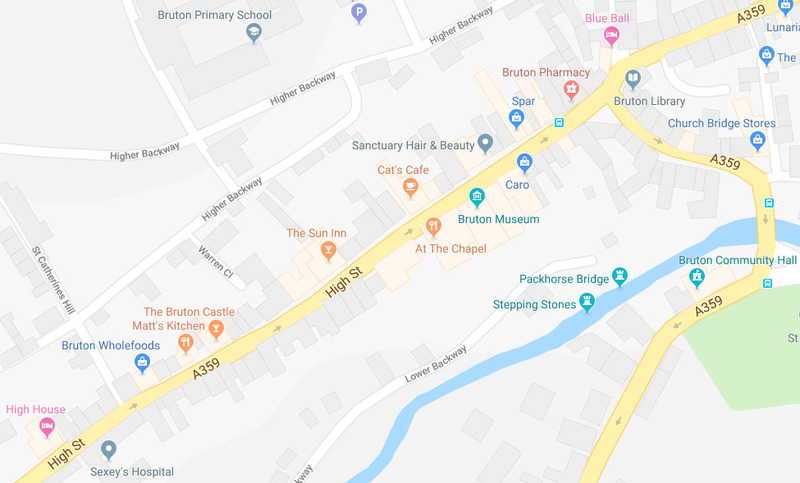 A warm friendly atmosphere awaits regulars and newcomers alike and we look forward to you visiting us here at the Sun Inn Bruton. 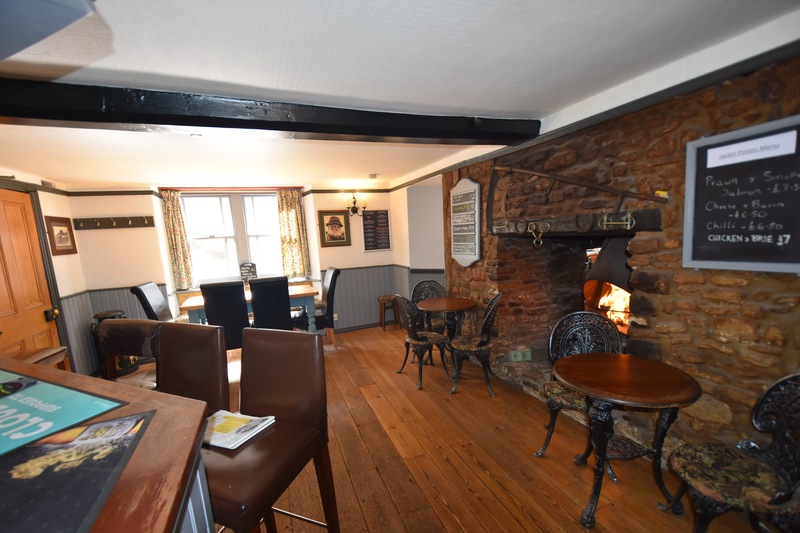 Here at the Sun Inn we cater for a wide range of tastes and firmly believe in offering great value as well as quality. 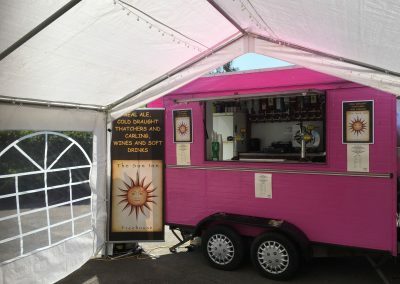 We offer anything from a quick bar snack, to a traditional Sunday roast, but our specialty is our authentic Persian menu. 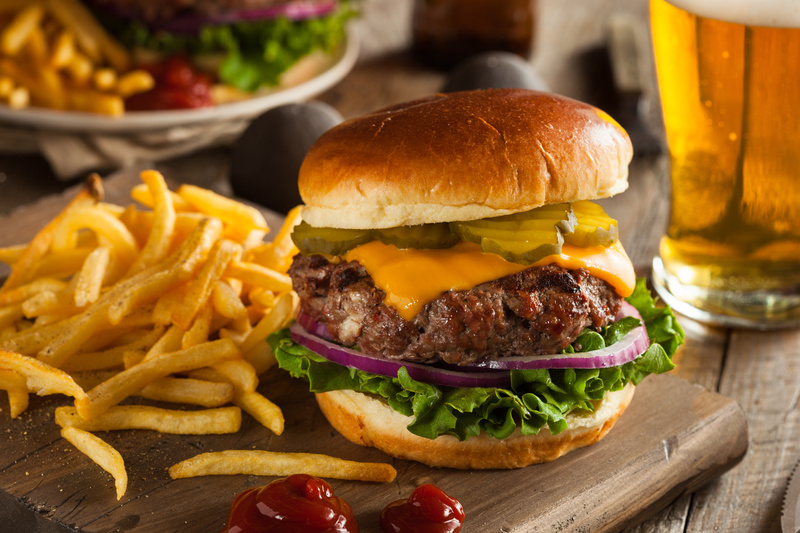 Prepared using fresh ingredients by our Persian chefs. 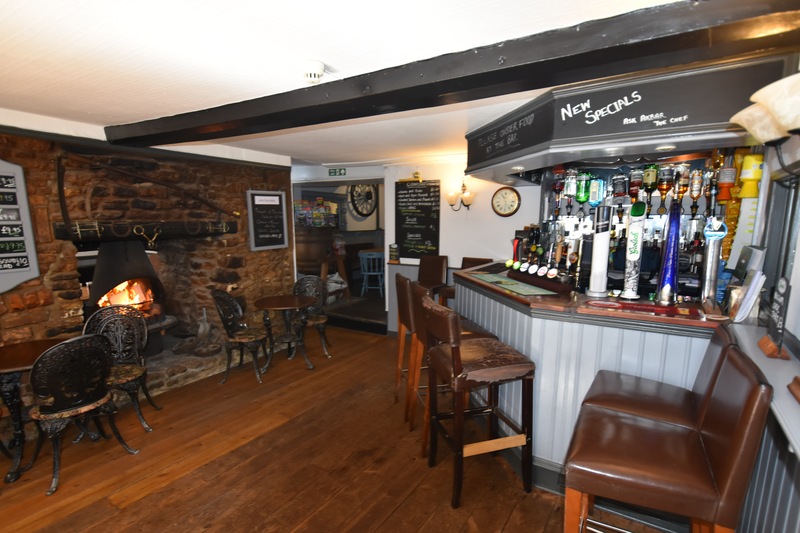 Enjoy our menu in the warm and relaxing atmosphere of the pub, but for those unable to take advantage of a night out we also provide a takeaway menu offering freshly baked pizza, burgers, fries etc, and all of our meals can be packaged for collection or free local delivery. Serving Bruton and the surrounding area, the Sun Inn mobile bar provides a professional, efficient and cost effective service to meet your exact requirements for your special event. 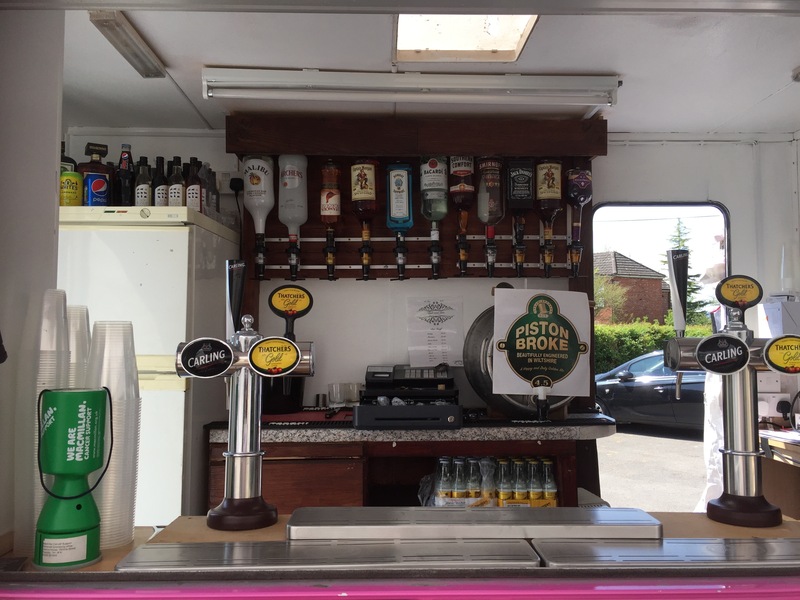 Our custom made mobile bar is perfect for Weddings, Birthdays, Fetes, Concerts or private functions. 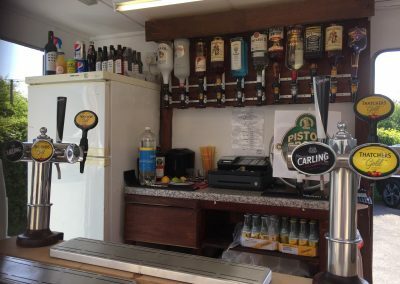 Whatever your requirements, our fully licensed and staffed bar will ensure your function never runs dry. 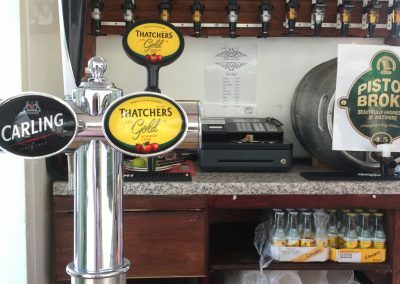 We provide chilled draught lager, cider and a selection of real ales, wines and spirits as well as soft drinks or even tea and coffee if required. 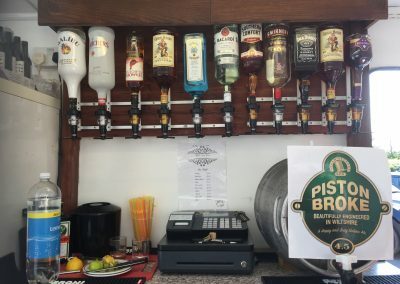 We cater for events where guests pay for all their drinks or staffed bars where drinks are paid for by you, the host. 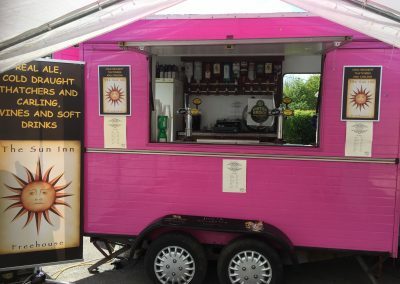 The Sun Bar is also available for hire for those wishing to run their own bar. 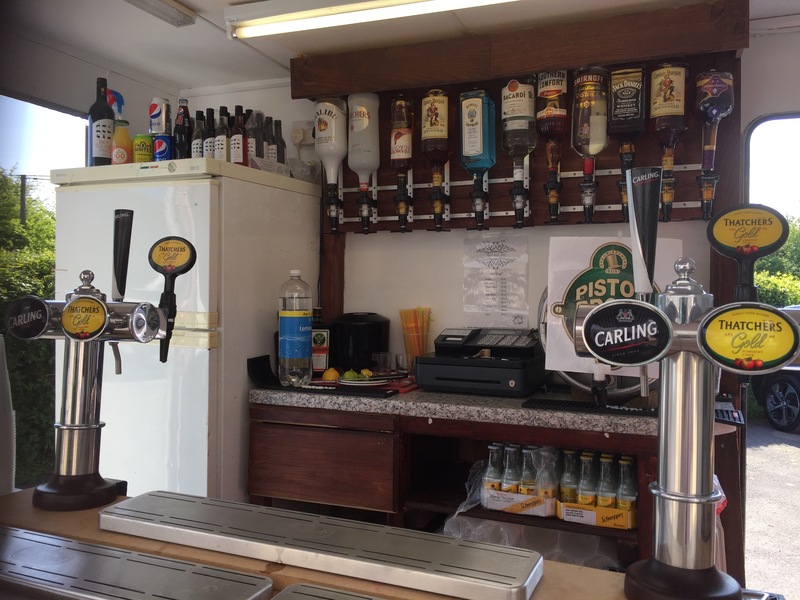 We can provide all the necessary equipment fully installed, with training on equipment use. 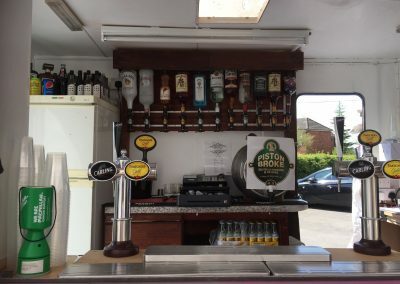 We include disposable glasses, ice, all gas and refrigeration. Prices start at just £350. 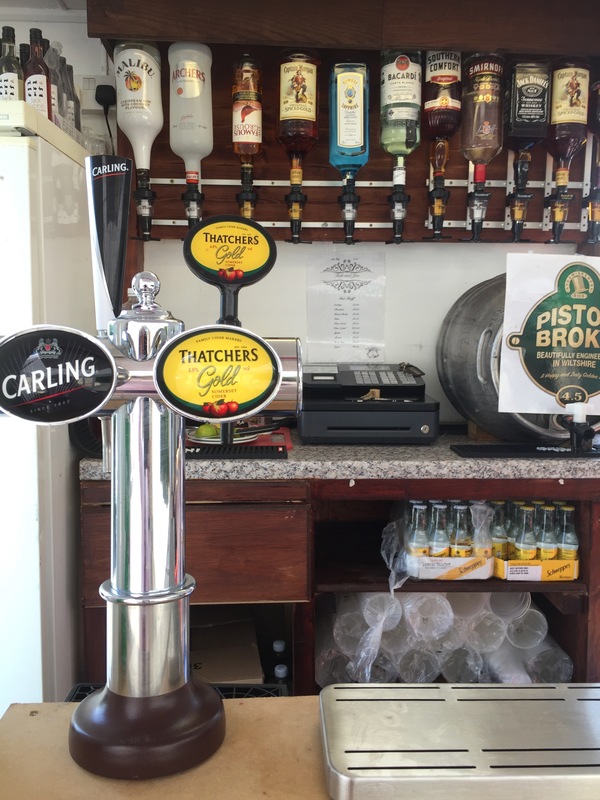 We can also help you stock the bar at wholesale prices using our trade accounts.